I’ll admit, I was a bit nervous. Did I really sign up to spend 6 days hiking to Machu Picchu in extremely high altitudes and cold nights and potentially pouring rain? Should I have signed up for the train instead? But there I was, hiking with poles in hand and hours and hours of walking ahead of me. This was the capstone to our South American adventure. Throughout the past 4 months it had loomed as an exciting yet anxiety inducing event. As we had our orientation in Cusco, I couldn’t believe it had finally come. 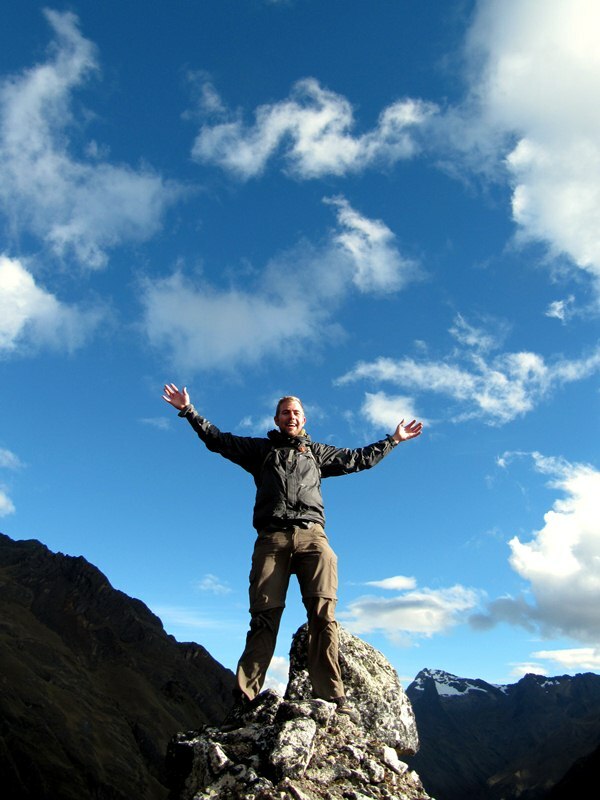 The most popular trail to Machu Picchu is the 4 day Inca Trail. So many people wanted to hike it that they started to regulate it, requiring pricy permits and guided groups. 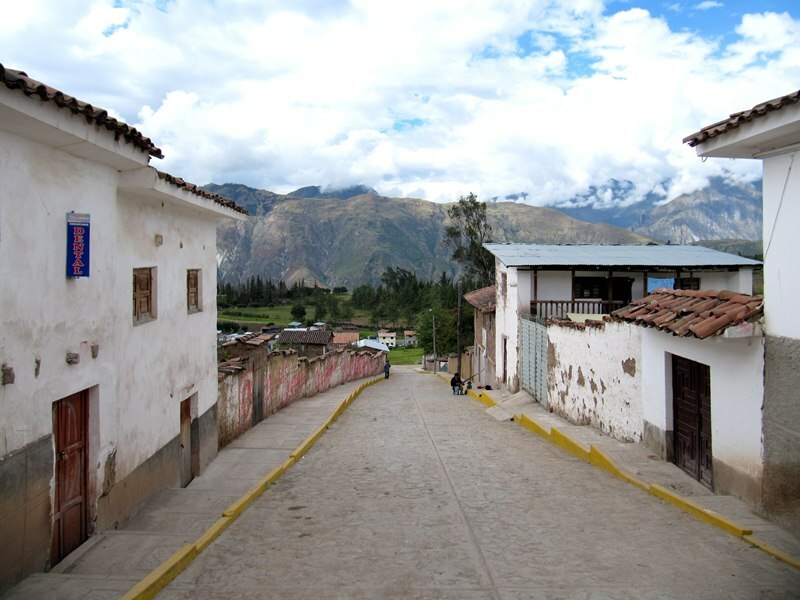 Its popularity is maintained, however, because it is the only walking route that leads directly to Machu Picchu. 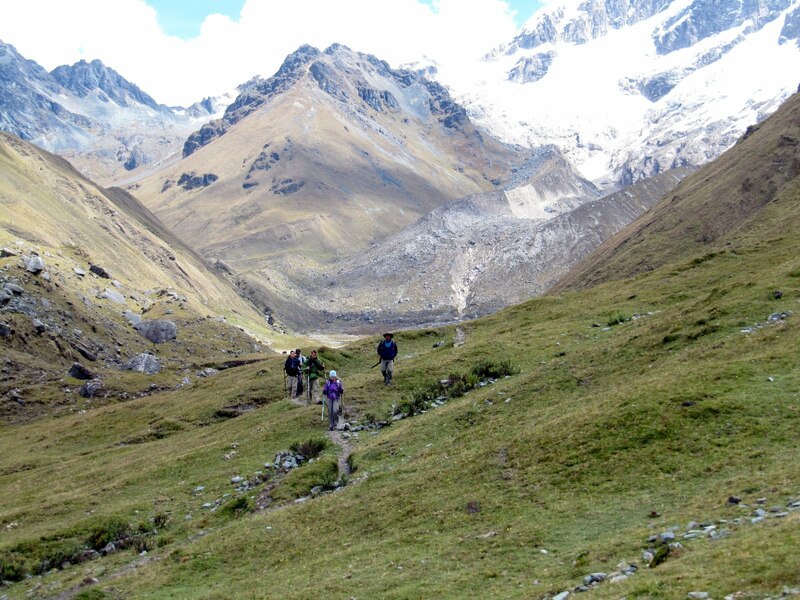 We were interested in the Inca Trail, but it wasn’t badass enough. 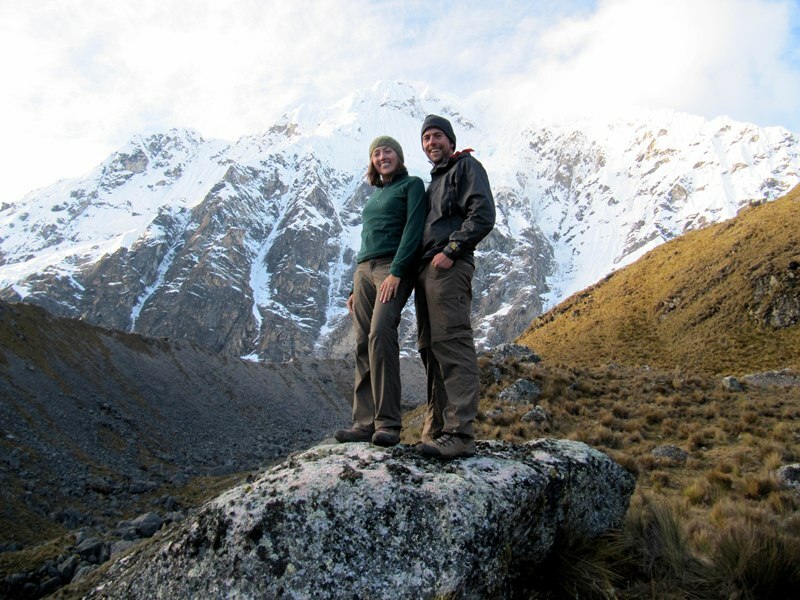 No, we had to add an extra few days to walk past Salkantay Mountain, later joining up with the Inca Trail. 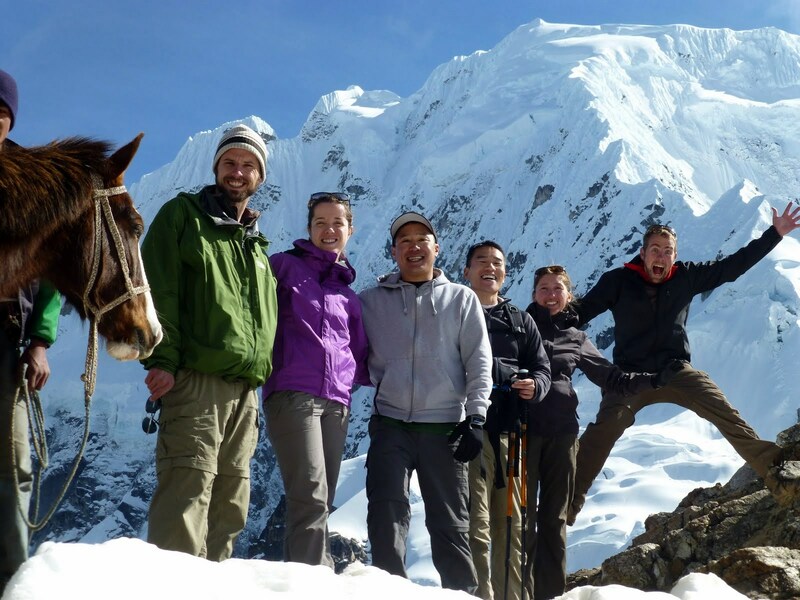 It seemed like a good idea when we booked it with our tour operator, Apus Peru. What made the idea more enticing was that I was doing it with five awesome people: Nathan, Brenda, Drew, Dan and Randy. 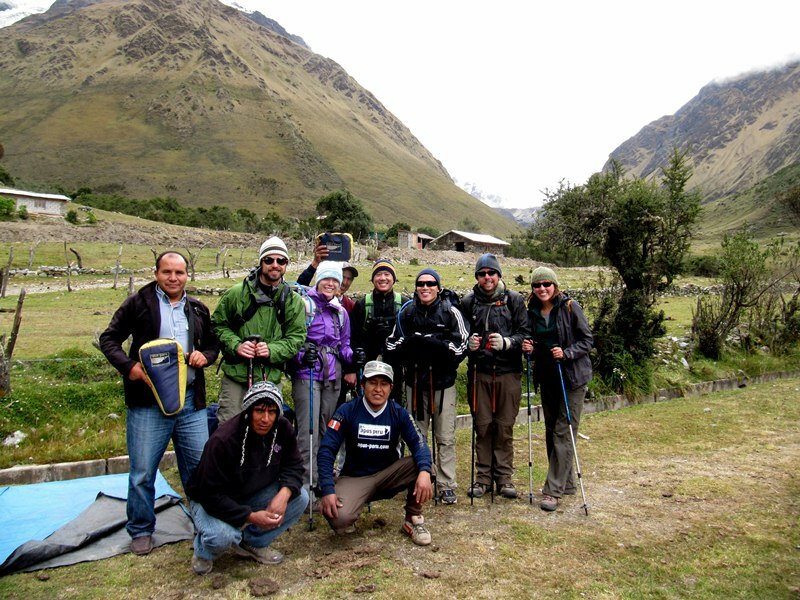 On the first morning, we awoke early, met our guide Julio and drove a few hours outside of town to the trailhead. Our packs were loaded on to some mules and we promptly set off. From the beginning the views were spectacular. We were in a wide grassy valley called Soraypampa with beautiful skies overhead a no one else but our group. After a few hours we were already at our lunch spot. The mules and 4 support staff had already arrived and set up the dining tent. It was here that we learned how well our investment into a good tour company paid off. The food was wonderful. 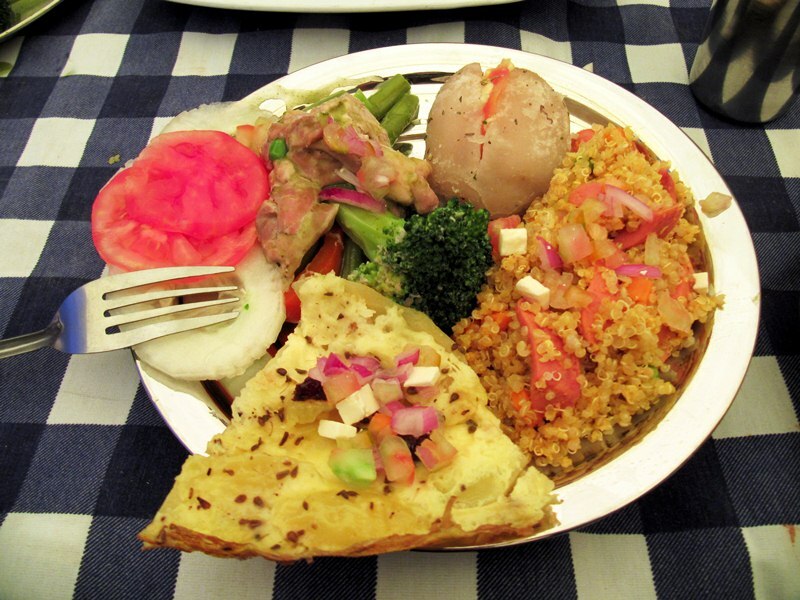 There were five or six courses, local peruvian favorites and flavors that were new, exciting and filling. Each meal we waddled from the tent in another failed attempt to finish all the food. We were well fed throughout the tour thanks to our personal chef, Rutherford. A few more hours of hiking and we made it to our campsite. The tents were already set up and we were free to absorb the view. And what a view it was. 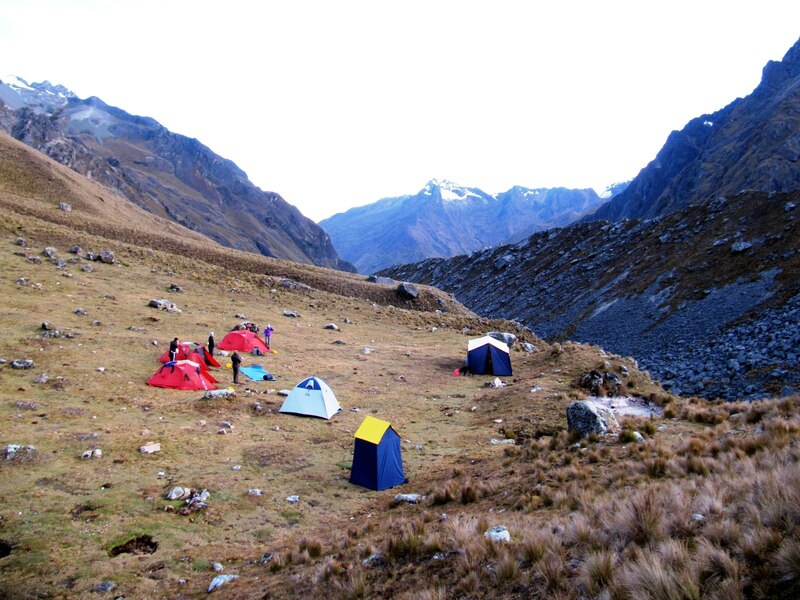 We camped right below the gorgeously snow-covered Salkantay Mountain. We watched until the sun went down and it got too cold to stand outside. This was our coldest campsite – it dropped below freezing that night and we woke up to tents stiff with ice. The next day we got even closer to the mountain. 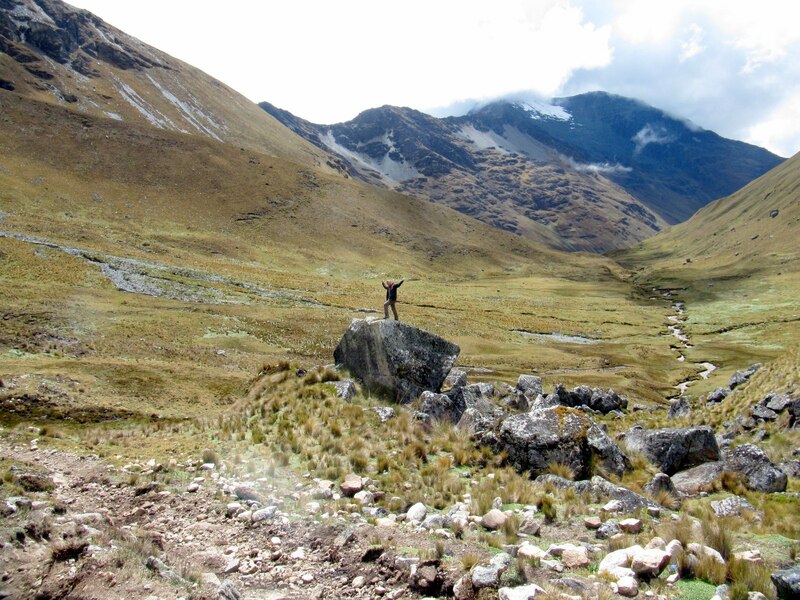 It was going to be our highest climb, reaching 5,000 m (16,400 ft). We started off strong but had to take a fair number of breaks to catch our breath. 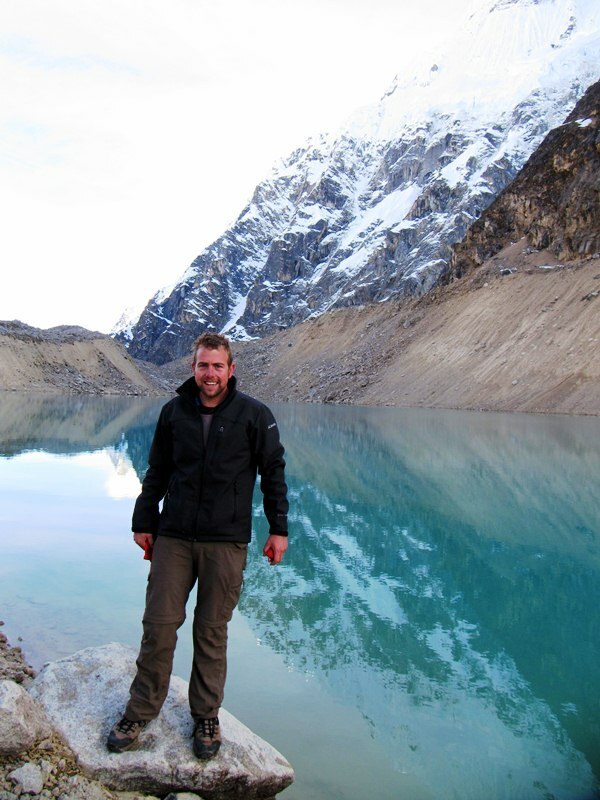 It was in one of these breaks that Nathan and Drew had the brilliant idea of jumping into the small lake that had formed at the base of Salkantay. They ran down while we climbed up. I don’t know how they did it but they jumped in, and immediately jumped out of the icy water. Now they’ve got some good bragging rights. Pushing ourselves hard, we kept trudging to the top of the pass. And slowly but surely, we all made it. 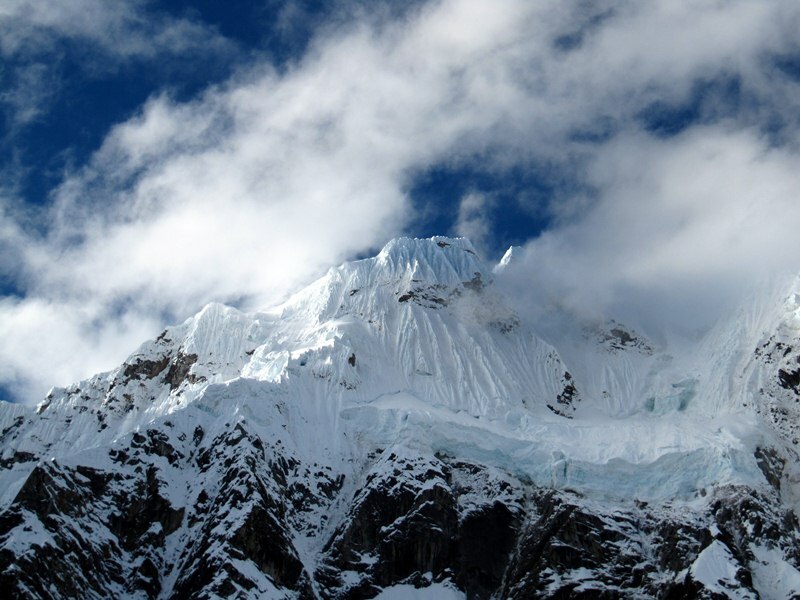 We all stood on the ridge, looking up at Salkantay. It felt so rugged and powerful, living up to its name which means Savage Mountain. I had never been so close to a mountain that reaches 6271m (20,575ft) into the air. It was breathtaking. And then it was time to descend. For the rest of the day we passed through more valleys, some with small settlements scratching out a living with farms or llama herds. We found the hike to be incredibly peaceful. We never really saw any other hikers. Just locals using the paths for everyday use. Flowing creeks cut through the valley. 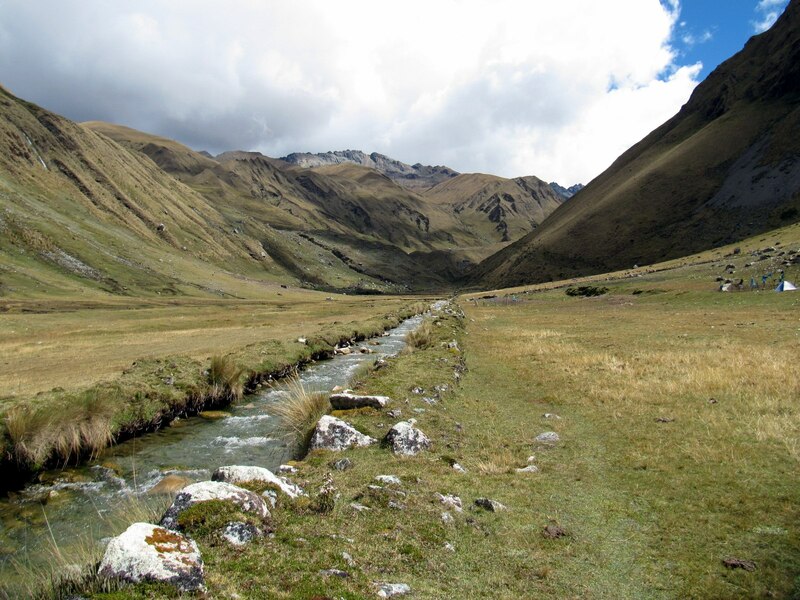 The Incas restrained these waters and created canals that still contain and manage the waterways five hundred years later. 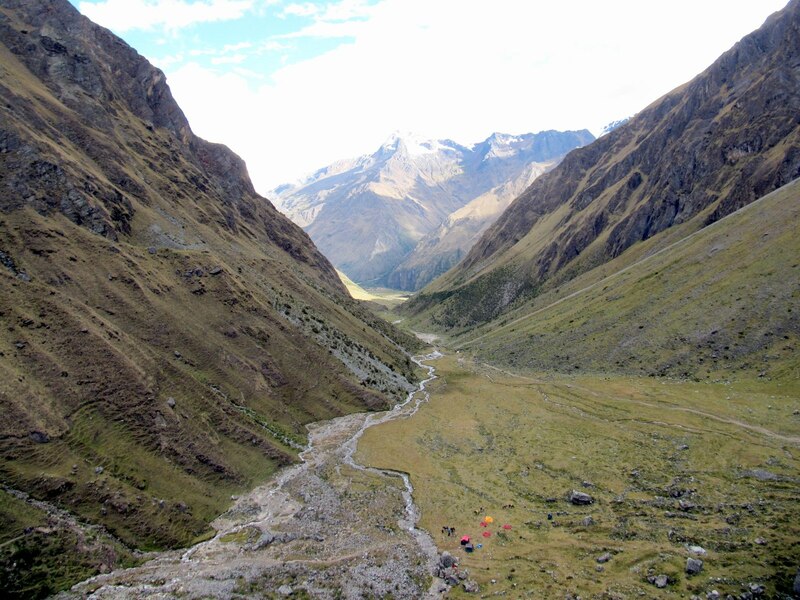 Towards the end of day 2, we made it to our intersection with the Inca Trail. We settled in and ate a delicious dinner. These always started with soup, then a meat entree, always accompanied with potatoes of some sort, and perhaps a veggie or two. We all finished it off with coca tea. It was the poshest camping I’ll ever experience. What an amazing day this was! Clearly you had the trail for yourselves and incredible scenery. You are certainly tougher than I, 19,000+ feet? 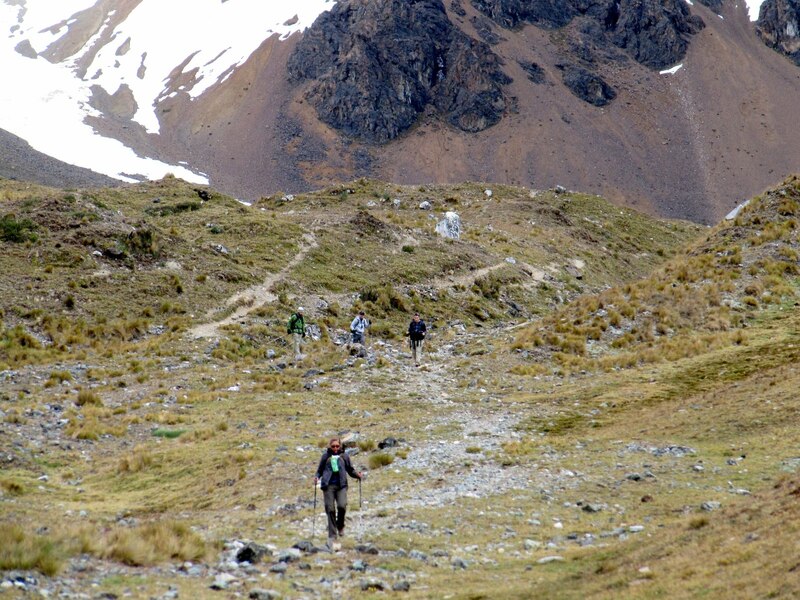 And I thought the Inca trail was tough. Oh, we did not make it up to 19k. 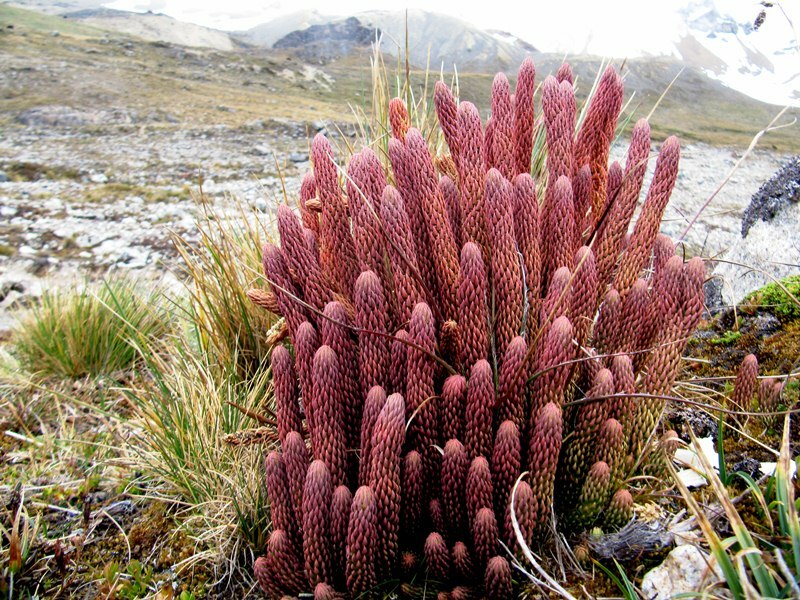 The highest we got was Incachiriasca pass (4965m, 16,400ft). 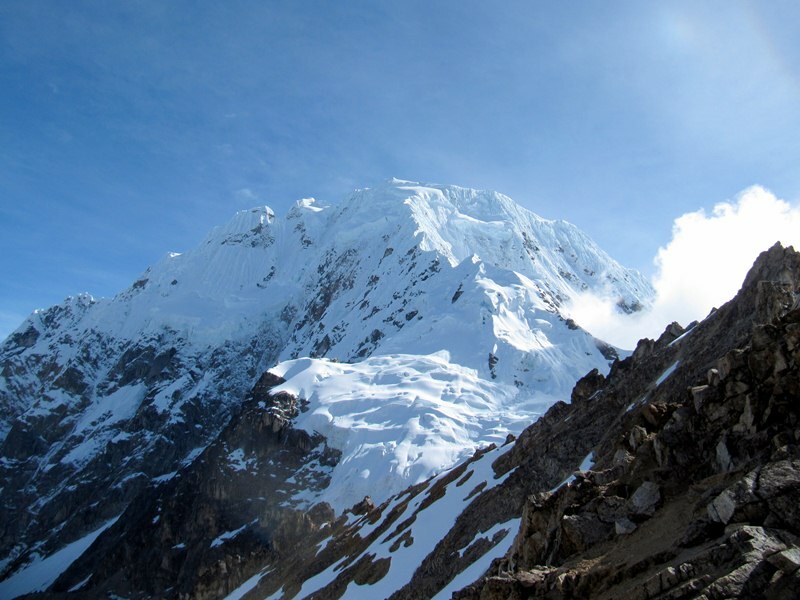 Salkantay is 20,575ft, but we did not have the nerve, nor skill to get to the top. We are glad you enjoyed the posts! Ok..I’m still gasping for air! 16,400 in insane ! Great to be able to meet a hiking fiend, what great bragging rights you have.